Our mission Our mission is to make women happy by preserving their handbags in perfect shape as long as they keep them. Who we are Lady\'s Hand Ltd is a limited liability company based in European Union. The company is a sole producer of the Lady’s Hand hanger and a sole owner of all intellectual property rights concerning the product’s patent, utility model, industrial designs and trademarks. It was created particularly to develop the Lady’s Hand hanger project and to response to the stubborn and annoying problem that nearly all women face on a day to day basis. What we believe in We believe in a woman’s to strength to choose who she is. She might be sophisticated, romantic, confident, delicate, extravagant, prudent or adventurer, but she may always be recognized by details she makes an integral part of her style. For women, the perfect handbag is not just an accessory. It is something special that is always there when they need it; something they can always count on. 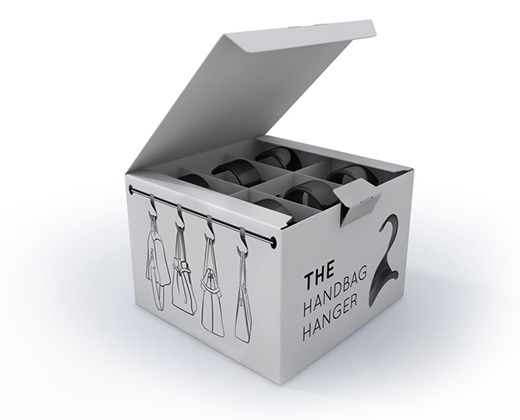 That is why we’ve created the unique Lady’s Hand handbag hanger. Women truly understand the essence of the little fragments that make the big difference. So do we.